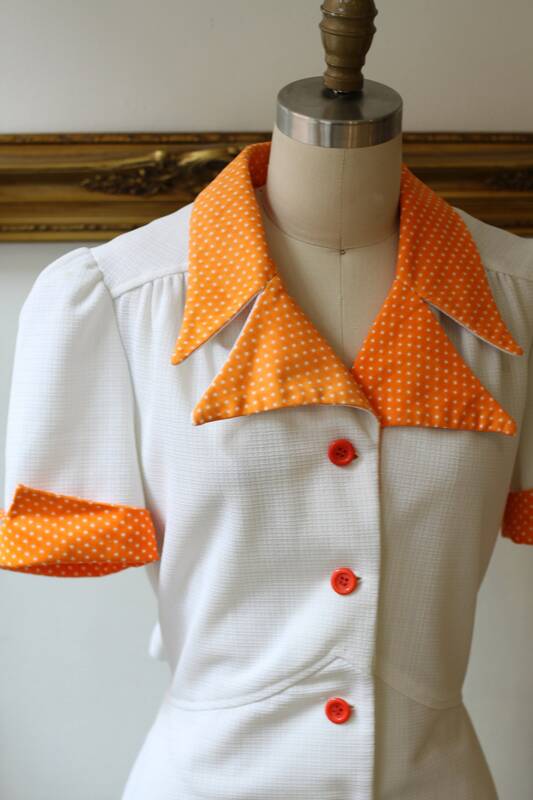 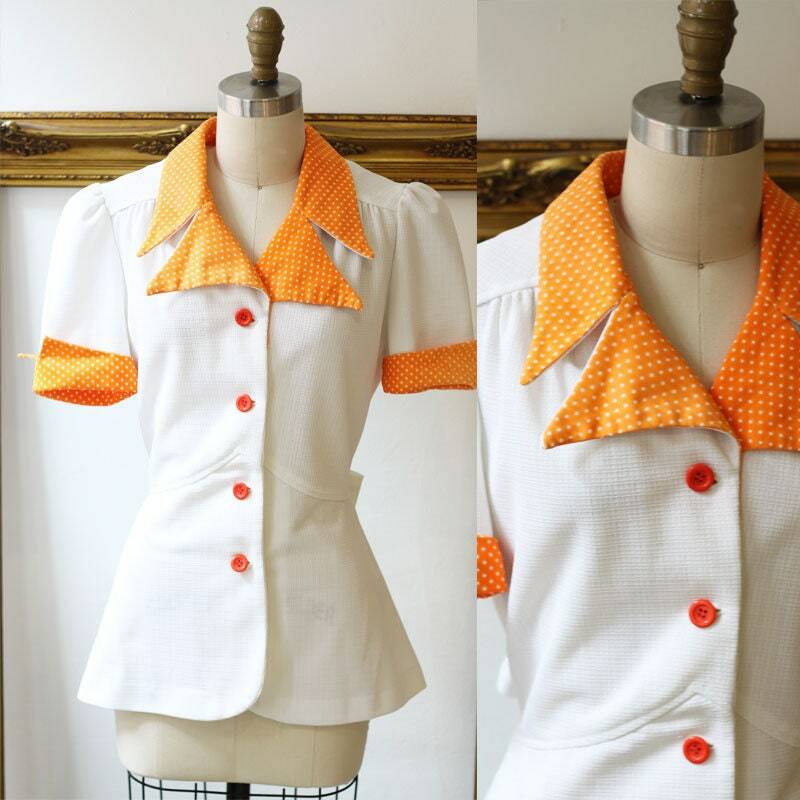 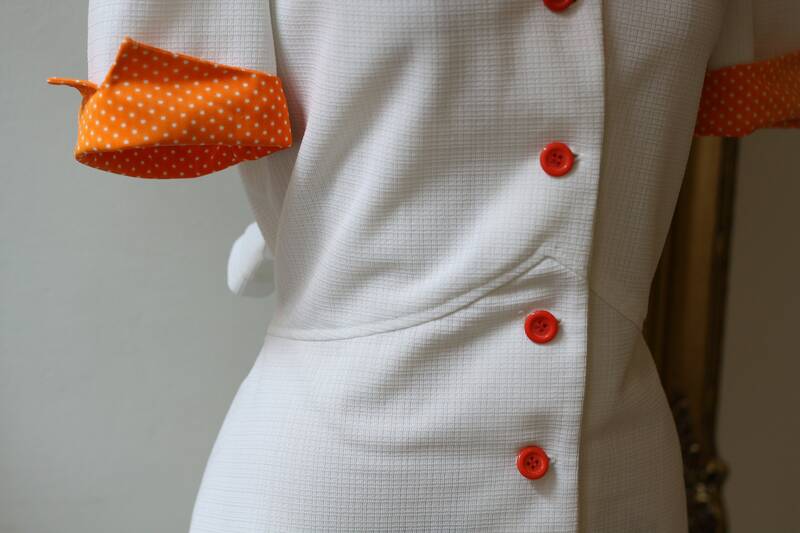 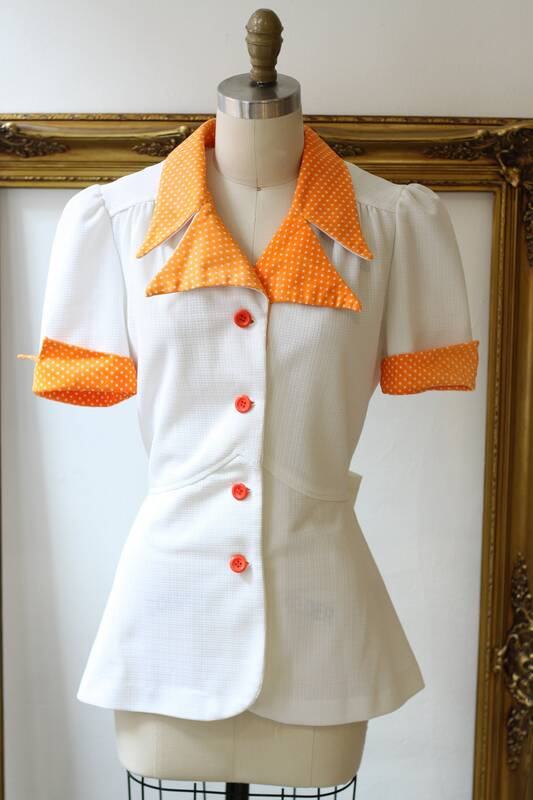 Super fun 1970s white and orange top with button front closure and tie at the back to help define the waistline. 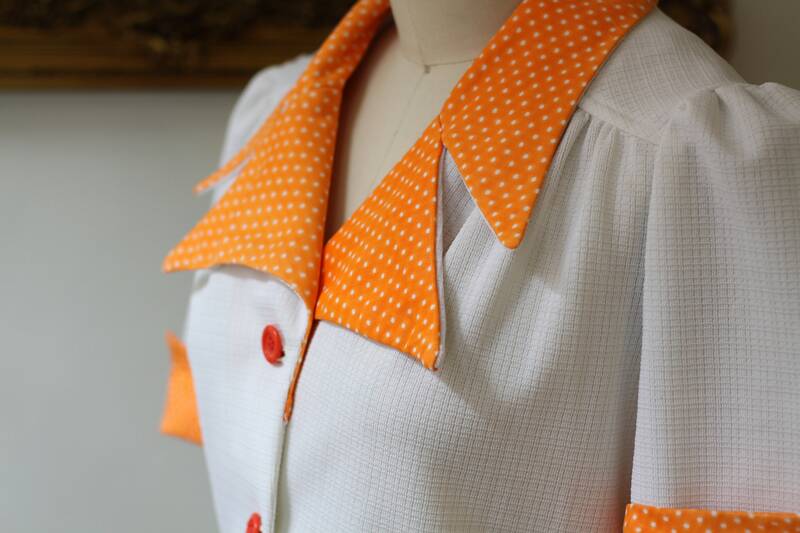 Large lapels that have an orange and white polka dot patter on them. 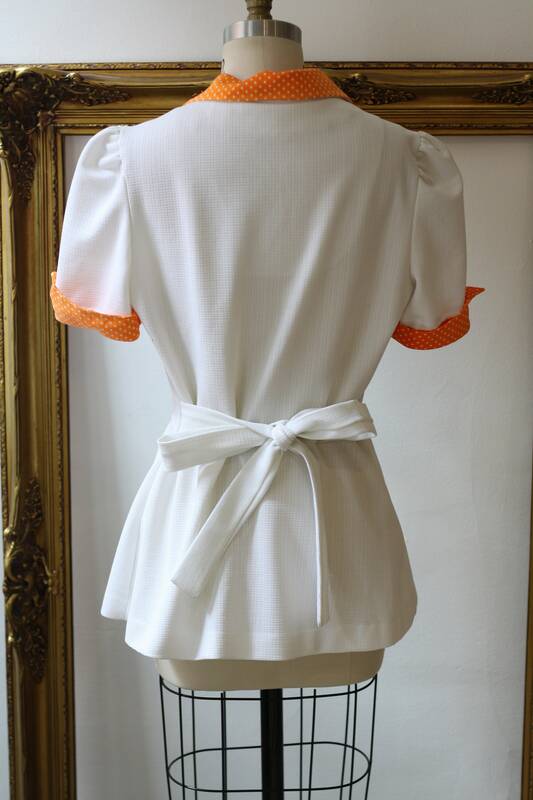 Cute cap sleeves with a slight puff to them.